San Antonio Indian Community | | Where do you live? 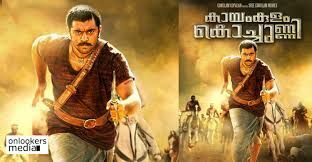 Please note Kayamkulam Kochunni (Malayalam) Movie occurred in past. Note: We provide all Indian (desi) events. Your source of all the Desi Indian events happening in and around San Antonio. SanAntonioIndian.net has tried it's best to provide accurate information, we request you to check our site for updates. SanAntonioIndian.net is not responsible for any cancellations or changes in events. Kayamkulam Kochunni is an Indian Malayalam-language epic period film directed by Rosshan Andrrews and written by Bobby & Sanjay. SanAntonioIndian.net is operated under IndianLoop.com network (Broadlink, LLC site) and is a Trademark of BroadLink, LLC. Any unauthorized use of these Trademarks is strictly prohibited.